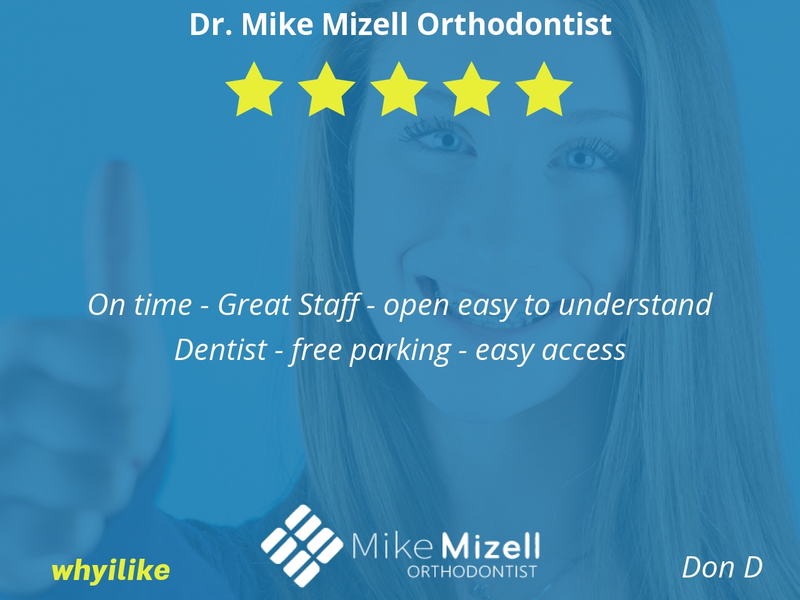 Great staff - very professional and efficient and kind and helpful. 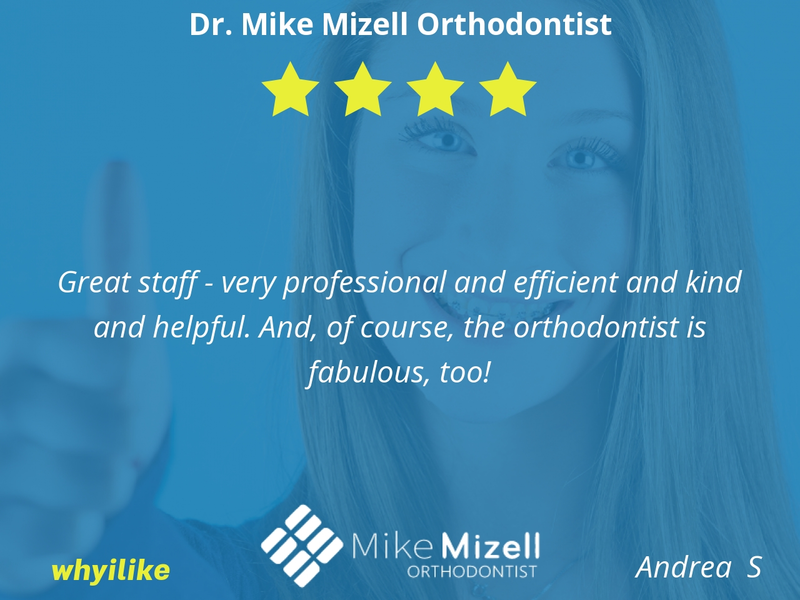 And, of course, the orthodontist is fabulous, too! 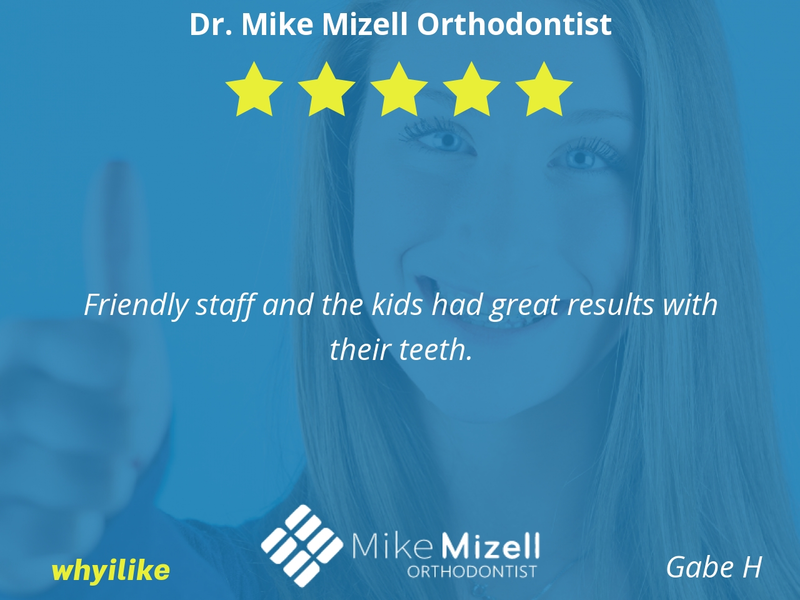 Friendly staff and the kids had great results with their teeth. Love this place and all the people in it! Wonderful staff! 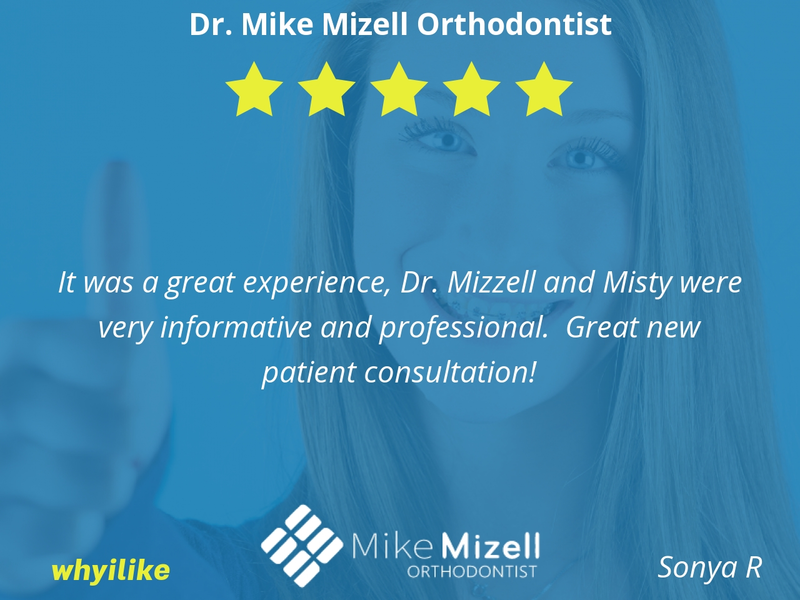 It was a great experience, Dr. Mizzell and Misty were very informative and professional. Great new patient consultation! 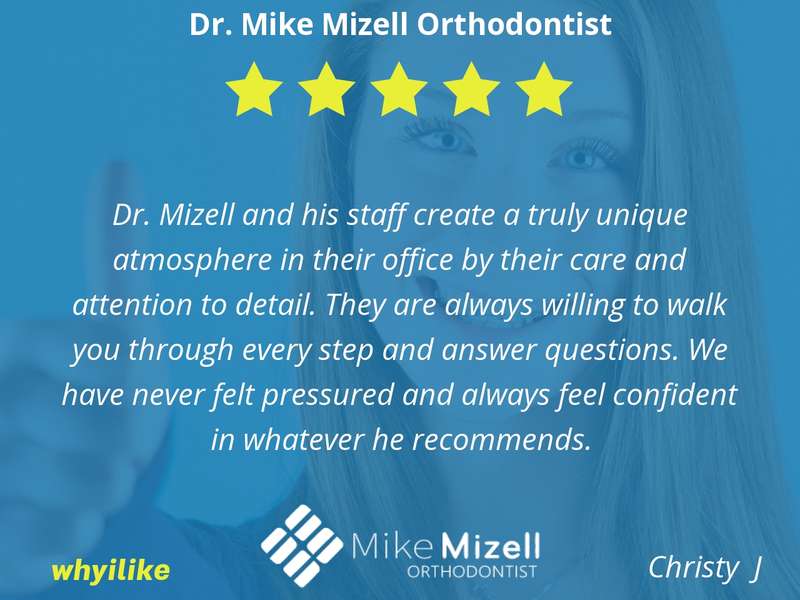 Dr. Mizell and his staff create a truly unique atmosphere in their office by their care and attention to detail. They are always willing to walk you through every step and answer questions. 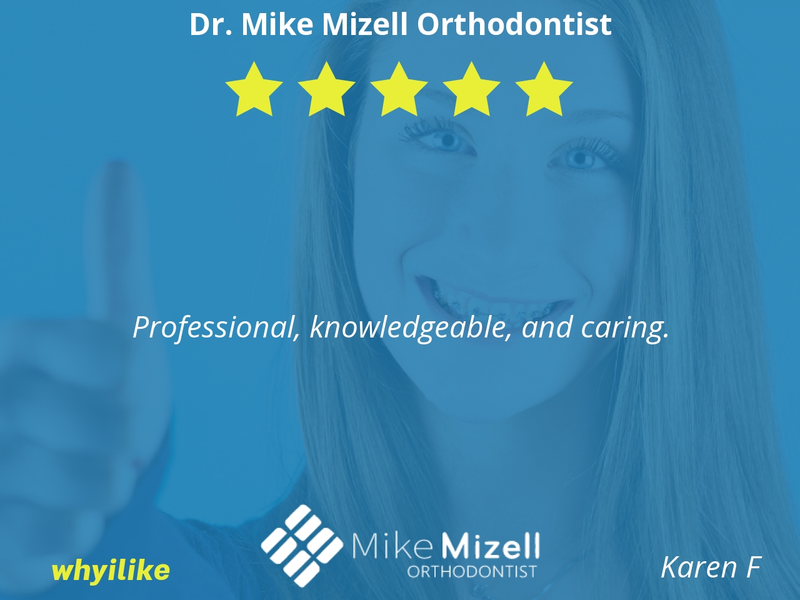 We have never felt pressured and always feel confident in whatever he recommends. Everyone is very friendly and professional. It is easy to get appointments and they are accommodating about times which makes it easier for school going children. 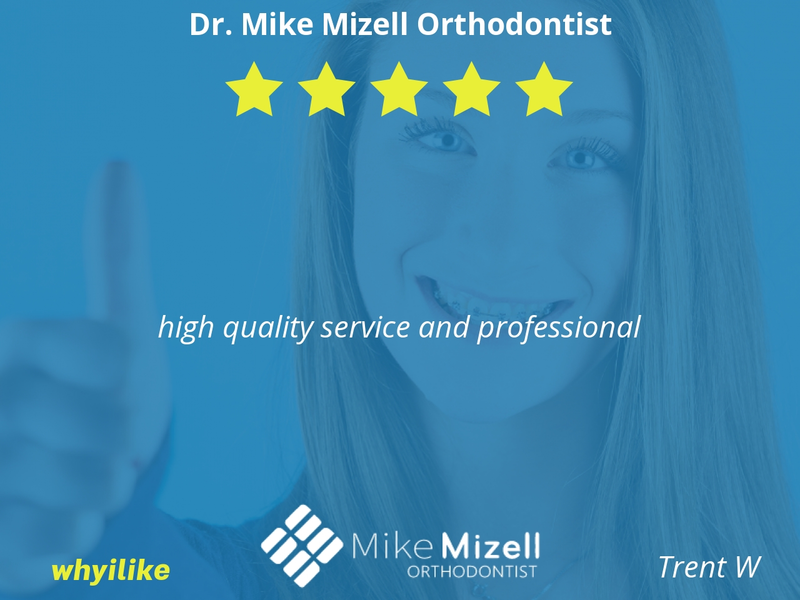 Dr. Mizell is great at explaining the treatment and makes the patients feel comfortable. Dr. Mizell's office is one of the most professional and organized practices I have seen. 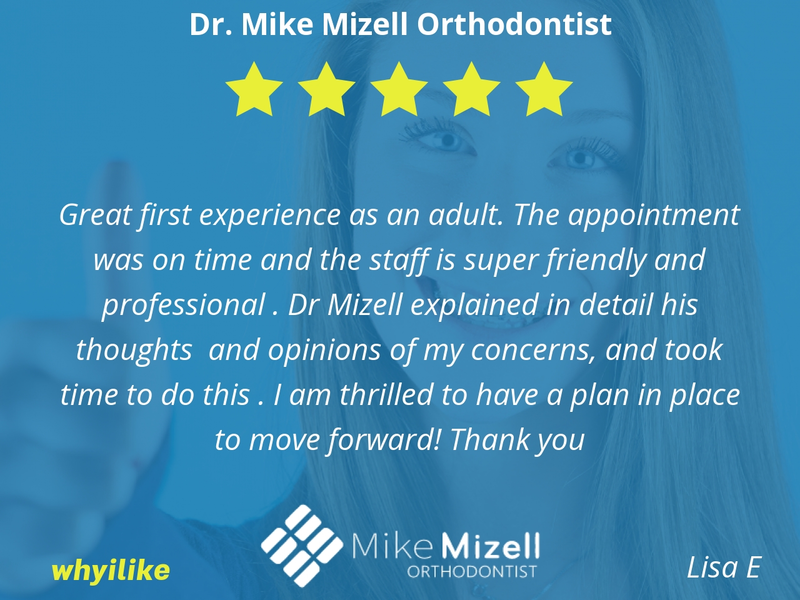 We are always seen at or before our appointment time and all the staff are super friendly and accommodating. 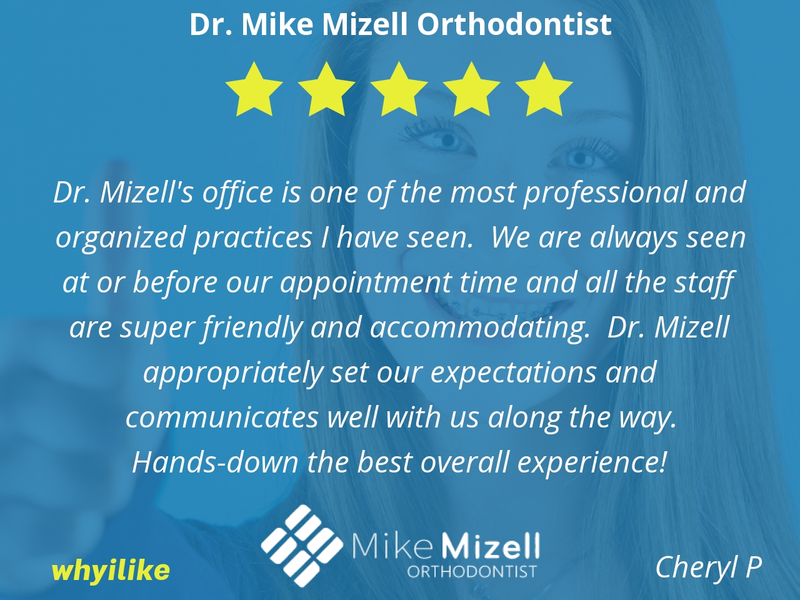 Dr. Mizell appropriately set our expectations and communicates well with us along the way. Hands-down the best overall experience! Very nice staff. Dr. Mizell is very personable. Friendly and clean environment! Everyone is so nice & helpful!! Everyone friendly. 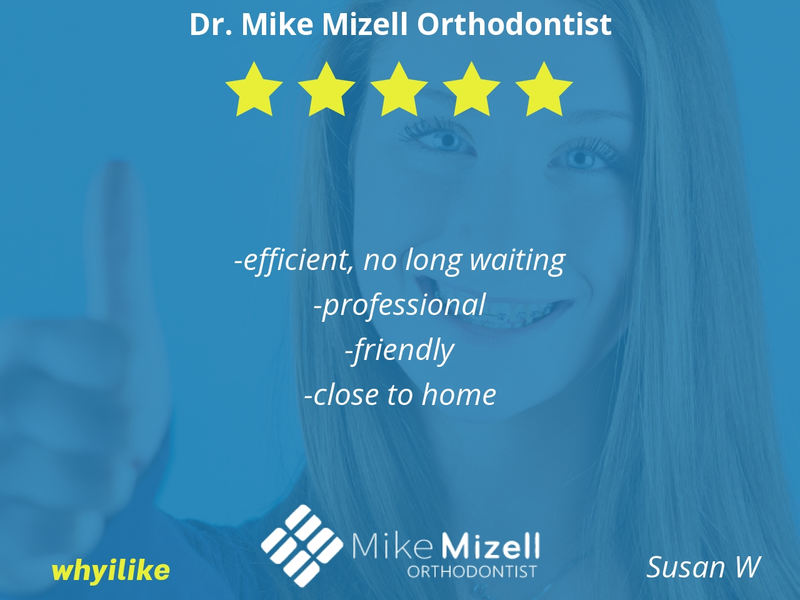 Keeps patient apprised of the process and what is going on, and very efficient. No wasted time. Runs on time!! Mizell makes beautiful smiles!Front desk is always friendly! 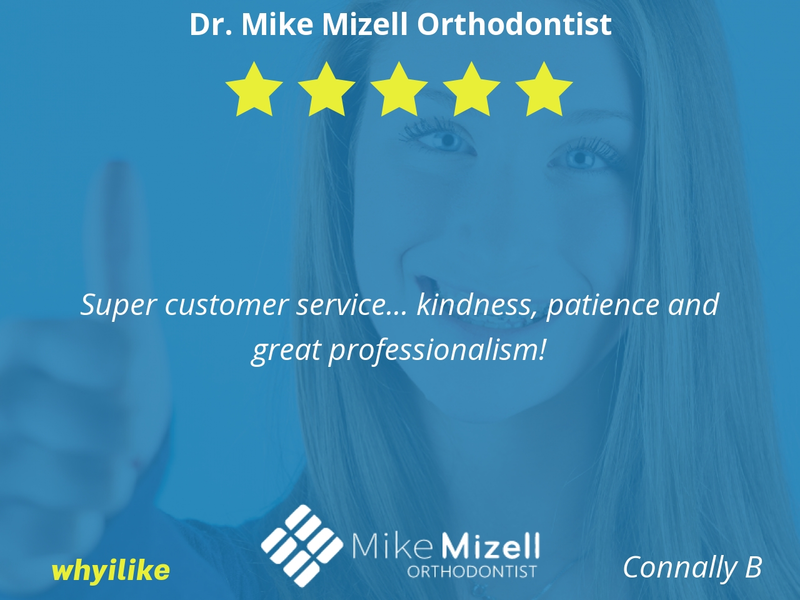 Super customer service... kindness, patience and great professionalism!